I had a hard time giving these 4/5 and not 5/5 stars, but there are a few thing worth noting. The plastic around the audio jack broke after only a few months of use. This could be due to earbuds being plugged into an iPhone 6+ which leave much room in my pocket, putting strain on the L-shaped jack when taking my phone in and out of my pocket. I rode the subway to work 5 days a week last year, and was constantly taking my phone in and out of my pocket to change the song which inevitably put stress on the jack. I'm living in South America at the moment, and it isn't recommended to keep your phone out on your lap or even in your hand while going place to place. As is such, the jack broke so I ended up having to tape things back in place, though the cable eventually got too twisted/frayed and now only one of the buds works, the other intermittently. The jack is not made of the highest quality/most sturdy plastic, but it shouldn't be a problem if you're cognizant of the issue. This issue is not nearly enough to put me off from these earbuds. This brings me to the second issue. You have to take your phone in and out of your pocket constantly the change the song, to answer a call/text, etc. because there isn't a microphone or pause/play button. 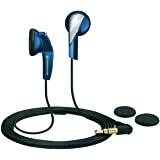 And because these headphones are wonderfully noise-isolating (which I'll get to in a minute), you have to either pull them out of your ears when someone starts talking to you or pause your music directly on your phone/mp3 player which can be inconvenient if placed in your pocket or bag. This issue doesn't nearly ruin these earbuds for me. The third issue is that of having two different cable lengths between the earbuds. This supposedly helps prevent tangling, but I haven't noticed it to help at all. All this does is make the headphone tug on your ears unevenly when you inevitably have to take them out to talk to someone (because there's no pause/play button). I resorted to wrapping the longer cable around the back of my neck, or else the slack from the longer cable would annoyingly hang in front of me and unevenly distribute the tugging weight between my ears. Still, this issue doesn't turn me off from these earbuds. Before I get to the pros I'll note that the problems with the jack and the tangling could have been avoided if I took a little better care of these earbuds. 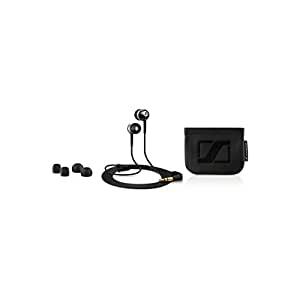 I got these earbuds mostly for commuting and to toss around without worry, unlike a few other pairs of earbuds and over-ear headphones that I use at home, on airplanes, etc. For the money, the sound quality is unbelievable. Sharp highs, clear mids, and deep, booming bass that I've rarely found in any earbuds at any price level. This versatility came as a very pleasant surprise to me. Like my more expensive over-ear headphones, I found myself discovering new layers to some of my favorite songs which is always awesome. 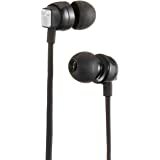 This has to do with both the clarity of the earbuds, as well as their excellent noise isolation characteristics. To reiterate, sound quality on these earbuds is truly out of their league. Noise isolation is excellent as I mentioned. 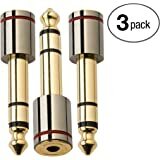 The earbuds come with three different size rubber inserts. Whichever size is good for you (the large ones for me), they fit snuggly and comfortably in your ear. 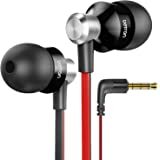 The few times I've taken a long bus ride and didn't want to take my over-ears with me, these stayed comfortable in my ears and kept my ride quiet the entire time. They never fell out, needed to be adjusted or needed a break from due to discomfort. Unlike comparable earbuds, you don't have to jam these ones in your ears, sacrificing your listening comfort, just to reap the benefits of their noise isolation. As they are noise-isolating, not noise-canceling, they don't require batteries or charging which keeps them light and as far as I'm concerned and puts them at no disadvantage to noise-canceling options when it comes to blocking out surrounding noise. Minimalistic design. The headphones are completely black except for small chrome rings and the hardly noticeable Senheiser logo on the back of the earbuds. You could argue that their design is boring, or maybe even cheap (it just says CX300II where a microphone should be) but to me they're perfectly subtle and understated. If you're looking for blingy earbuds, look elsewhere. The swagger of these headphones comes out in the areas where they truly excel, in the aforementioned sound quality and noise isolation. Seems like these earbuds were engineered with their performance in mind before anything else, and that's okay with me. If you take care of these earbuds, can look past some slight design flaws, I promise you will be very VERY happy. 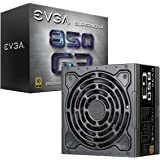 These headphones seem to be unrivaled at this price range or even the next level up when it comes to their strong points. Sound quality, comfort (after some adjustment) and noise isolation are the most important things to me, and let's be honest...headphones don't break themselves and you can certainly be more careful with them than I was. Having learned my lesson, I'm ordering another pair without hesitation. Now that you're informed, you should too! 161 people found this helpful. 1.0 out of 5 starsWARNING!!! It's a Counterfeit! Over the years, I've owned multiple Sennheiser products, and they have all been quality pieces of equipment. As soon as I opened the box, I knew that this wasn't authentic Sennheiser. It looked and felt cheap, the logo wasn't right, the plug wasn't right, and the way that the wiring was assembled made the earbuds almost unusable. When I examined the packaging, I found that Sennheiser's QR label and authenticating holographic sticker were absent. The final nail was going to the Sennheiser website to discover that there is no such model as the CX 300 II. The current model is the CX 300. 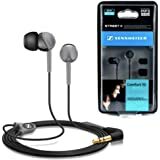 Once upon a time, I purchased the Sennheiser CX200 Street II earbuds for my listening pleasure. I enjoyed them so much that I bought a replacement pair just in case the first ones broke. Instead of getting another pair, I decided I could trade up and see what I might be missing out on. In comes the CX300 II's. They did not disappoint. My only constructive criticism is that the bass in the CX300 II feels much weaker than the CX200 Street II. Not a huge gripe though, still sounds pretty good all things considered. If each iteration is this painless of a change, I think I'll just stick with Sennheiser CX series earbuds for the rest of my life. Thanks for an excellent product. 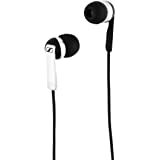 If you have never owned Sennheiser earbuds, then you have not owned high-quality earbuds. These are fantastic. In fact, this is my second pair that I use at my office for listening to music or voice messages without interrupting others in neighboring offices. Because I'm a little older and have impaired hearing (but not enough for hearing aids), these earbuds transmit a broad range of sound that makes ever message and all music extremely clear to me. The bass tones in music are especially well delivered though they do not overpower or distort the entire music's sound. 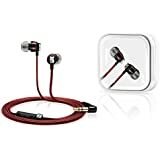 I listen to nearly all classical music (the remainder of my music is comprised of various classically trained Christian soloists), and these earbuds are quite amazing at providing beautiful sound through an extremely broad range. They deliver what they promise. I do not believe you will be disappointed with them should you purchase them. While the sound coming from the buds is what I expect from a Sennheiser product, the overall construction is horrible. The plug connecting the earbuds to my phone recently started coming apart. Now, I am not hard on my earbuds. I'm not a runner, so these are not being bounced up and down or undergoing any kind of rough usage. I mostly use these during my commute to/from work and to listen to music while at my desk. After just over one month of usage (purchased these on July 3), I'm now having to buy yet another pair of earbuds. They will not be Sennheisers.